In admiring the majestic beauty of the Valley of the Temples today, a tribute is due to an English officer who was one of the last ‘Grand Tour’ travelers to visit Agrigento and who has greatly contributed to the reconstruction of Valley. It could be said that the Valley of the Temples was built twice: first in the 5th century BC and once again in the 1920s. Strange but true. 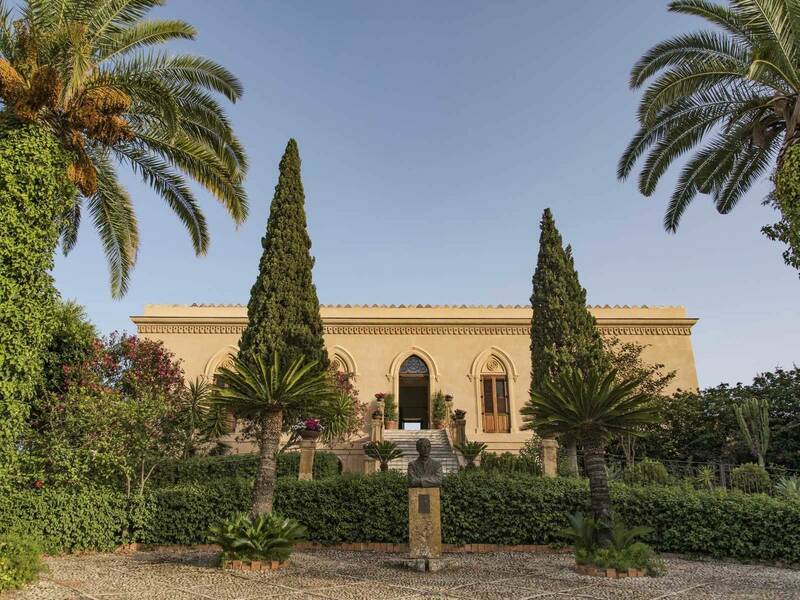 In 1921 two distinguished tourists stepped out of the train at Agrigento’s Central Station: Sir Alexander Hardcastle, an ex captain of the British Army, and his brother, a priest. Captain Hardcastle was 49, tall and slim and wore a pair of spectacles which gave him the air of an intelligent and curious intellectual. In London he had met Cesare De Angelis, owner of an elegant hotel in the centre of Agrigento, who had invited him to visit Agrigento. As he was a passionate amateur archaeologist, Sir Hardcastle had not hesitated to accept the invitation. 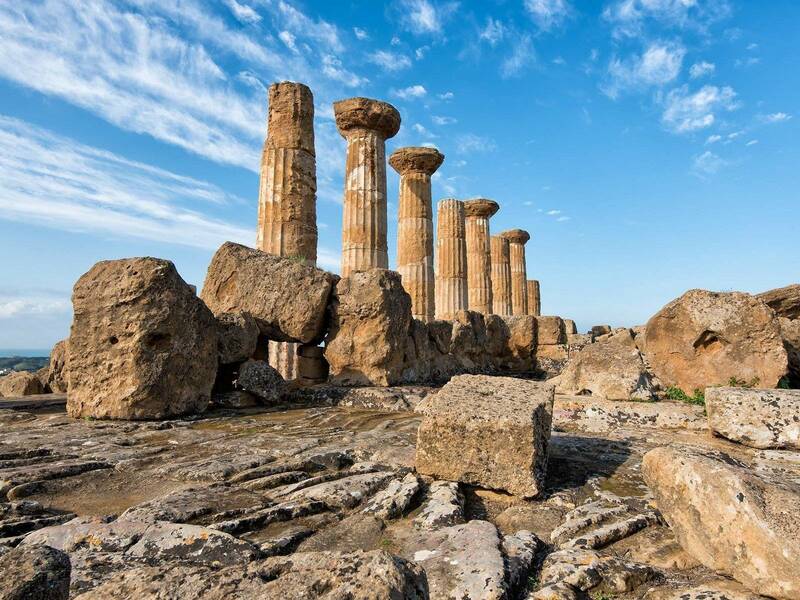 While serving in the Royal Navy he had already seen much of the world but when he arrived in Agrigento he was enchanted by the beauty of the Temples, the countryside and even by the peculiar forms assumed by the clouds. He was so enraptured by Agrigento that he continuously postponed his return home, neglecting his patriotic duties and abandoning his family in England. He was so deeply in love with the Valley that it seemed to him that the archaeological treasures hidden under the ground called out his name, imploring him to be freed and restored to their former glory. 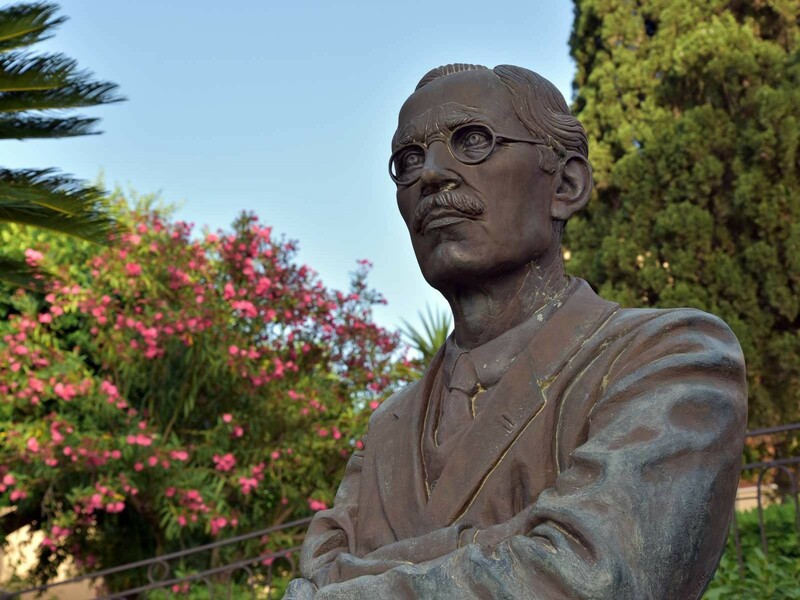 He bought a villa located in proximity of the Temple of Hercules, Villa Aurea, and started extensive archaeological excavations, public works and the restoration of monumental buildings such as the Church of Santo Spirito in the historical centre of town. In the following years he financed numerous major works with his personal economic resources: the columns of the Temple of Hercules were re-erected, excavations in the area of the Temple of Zeus brought three imposing telamones to light (now exhibited in the archaeological museum of Agrigento together with a vast collection of votive articles found in the area of the Temple of Demetra), the Temple of Eculapius was excavated and the eastern walls of the polis were explored and mapped. If the Valley of the Temples is now recognized by the UN as cultural heritage of mankind it is largely thanks to the generous passion and infinite energy invested in the area by Sir Alexander Hardcastle. The European economic crisis of 1929 caused the bankruptcy of many London banks and as a consequence Hardcastle abruptly lost what remained of his family fortune. He was forced to interrupt the archaeological excavations but he remained in his beloved Valley until his death in 1933: he died poor and in ill mental health and is buried, according to his will, in Agrigento’s cemetery which has a splendid view over the Valley of the Temples. Infinite thanks to Captain Hardcastle.